Ever since Alex first saw icons as an art student she has been drawn to understand their contemporary visual impact, the stories they tell as well as revel in their beautiful colours. These small sacred works of such symbolically powerful significance have led Alex to visit many monasteries all around the Middle East where they lie as picturesque talismans of a world she is drawn to. In the autumn of 2017, a group of artists under the guidance of St Catherine’s Foundation went to draw and paint at the stunning site of Saint Catherine’s Monastery in the Sinai, Egypt. There they met Father Justin who is the monk in charge of the remarkable library of texts, documents, and icons. From these images and experiences created there, she formed her own icon stories and prints which tell both a foreboding and enhancing story of the current situation in Sinai. 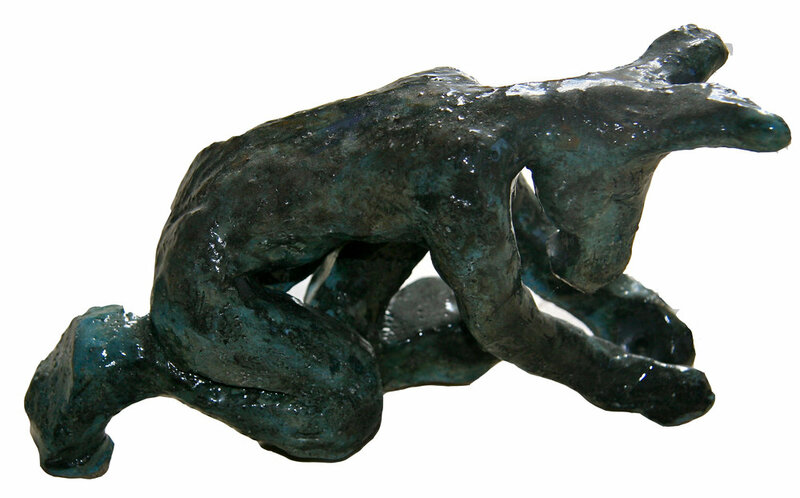 This work was exhibited in London at The School of Economic Science in the autumn of 2018. Alex became involved as Artist in Residence at Ziyaret Tepe from 2014. Ziyaret Tepe is an Ancient Assyrian Archaeological site over 3000 years old in South Eastern Turkey along the great River Tigris. The site was largely undisturbed until 1997 when the threat of destruction by floodwaters of a dam led to the formation of an international collaborative archaeological project to uncover and understand this Assyrian Tell. Alex was lucky enough to visit and drew in the Dig House and work alongside the archaeologists. She drew in ink all day and from these, she made layered prints and objects in clay which she exhibited in five exhibitions in London and Cambridge. From the many objects that were unearthed from the site one small clay cuneiform tablet, in particular, has an extraordinary story. It tells of 144 women, listing their names and male dependencies in a new ancient language. 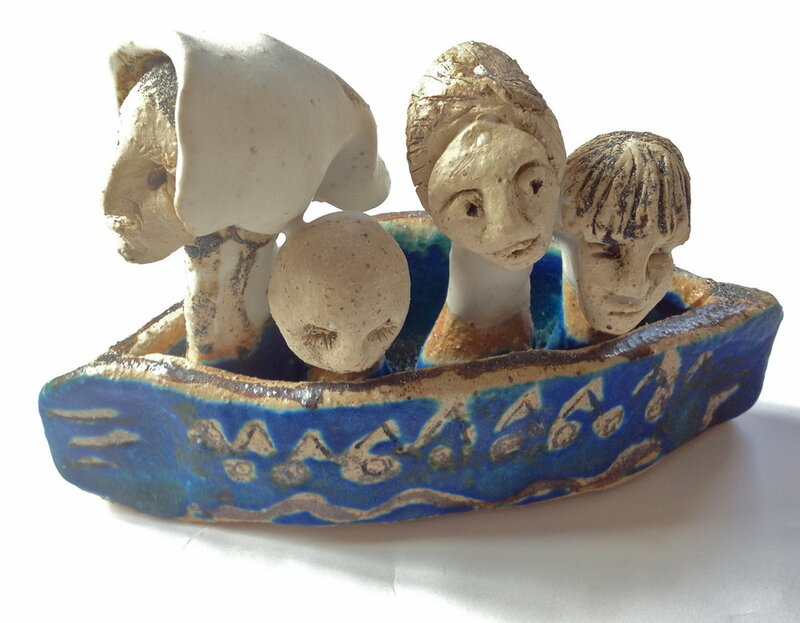 Alex has re-told their story, imagined in clay, which she links to current migration stories. Alex has always been fascinated and traveled widely around the Middle East. She sees much of the Middle East as a place where ancient history is so clearly visible, it has been the starting point and melting pot for so many cultures and continues to rub along with contemporary life. It. Her father lived in Oman for six years and Alex’s experiences in the Middle East began on a year-long campervan honeymoon driving out to and around Syria and Jordan visiting every historical site possible. As an artist, Alex continues to draw on references from the many places and factual stories from the sites visited, from the age of myths a millennia ago to her own retelling a new fictitious narrative today. She was an artist for an arts council exhibition for Wadi Faynan in Jordan, which was exhibited in Fuhais just outside Amman, Jordan back in 1996. Wadi Faynan is the site of an ancient copper mine and her work retold some stories about the environment of those who had worked and died there.